Esports, and other games : DotA 2 - Registered Players who qualified at 'Gauteng' for National Team Trials. DotA 2 - Registered Players who qualified at 'Gauteng' for National Team Trials. 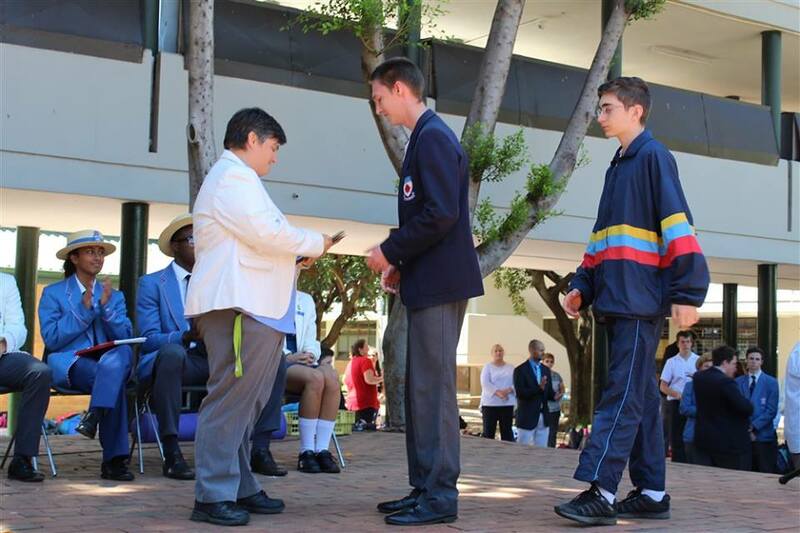 Northcliff Educator - Noelene du Toit - awarding school awards to Northcliff esports players. It is always nice to see Northcliff High School do well in any event. Northcliff High School affiliated to MSSA in 2009 and has been a very loyal member ever since. The school has produced two members of previous Protea Teams (Robert Botha, and Ian Pillay) and has always helped out whenever and wherever called upon to do so. MSSA's 36th Gauteng Provincial Championships were hosted by Northcliff High School on 24 & 25 February 2018. The Gauteng Provincial Championships have always been viewed as one of the most important championships leading up to MSSA's National Team Trials with the championships being the fourth last championship in which players may qualify for such Trials. Five players in MSSA's 36th Gauteng Provincial Championships all earned their berths in MSSA's 2018 National Team Trials. MSSA's umpiring course - 3 March 2018. Hard work pays off for Empangeni High School. The top twenty-five esports schools. Years of dedication pays off. Two more Umpiring courses scheduled. Important notice apropos CS update. Milnerton High School becomes MSSA's 95th member. Westerford High School affiliates to MSSA. Paul Roos Gymnasium affiliates to MSSA. Wargaming... What is it good for? Should gamers 'hop' from club-to-club?